“Another Silly Love Song” celebrates the beauty of love through the eyes of a man who truly loves his wife. In this book, the author details his married life and reminds readers that love conquers all the ups and downs in life. The author reveals his love for his wife and he makes this evident to his readers through every page and chapter. Love is always worth celebrating. For Rick Aper, he did exactly just that. In his book, he narrated his wonderful love story with his wife, Linda. He shares important moments in their relationship from the first time he laid eyes on her to their wonderful marriage. He also talks about the challenges they faced as a couple as well as sharing the twist and turns that life has brought them. 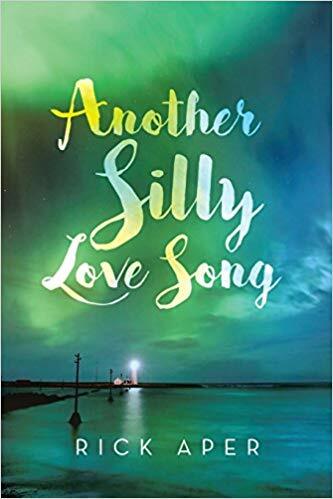 Ultimately, “Another Silly Love Song” is more than just a narration of a beautiful love story. The author reveals his love for his wife and he makes this evident to his readers through every page and chapter. This book is his version of a touching love letter to his wife—sharing that his wife was the woman he always dreamed about and prayed for, how she was the perfect best friend, partner, wife, and a wonderful mother to their children. Indeed, readers will experience the love that wonderfully shines throughout every page of this heartwarming story. It reminds each one that love exists and could happen to everyone. Aper is also set to share the love to a wider audience as he brings his wonderful love story to the upcoming 2018 Miami Book Fair International. Catch “Another Silly Love Song” as it joins the celebration that will unfold on November 11-18, 2018. Regarded as the nation’s finest literary festival, this eight-day affair will surely be a fun-filled and unforgettable experience for all. Be sure to check it out!